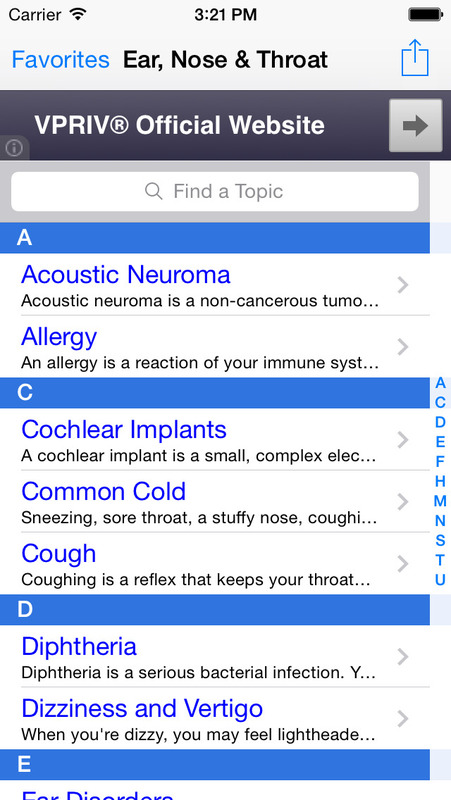 Best App on Ear, Nose and Throat! Your ear has three main parts: outer, middle and inner. You use all of them in hearing. Sound waves come in through your outer ear. They reach your middle ear, where they make your eardrum vibrate. Whether it's large or small, button-like or beak-like, your nose is important to your health. It filters the air you breathe, removing dust, germs and irritants. Your throat is a tube that carries food to your esophagus and air to your windpipe and larynx. The technical name for throat is pharynx. 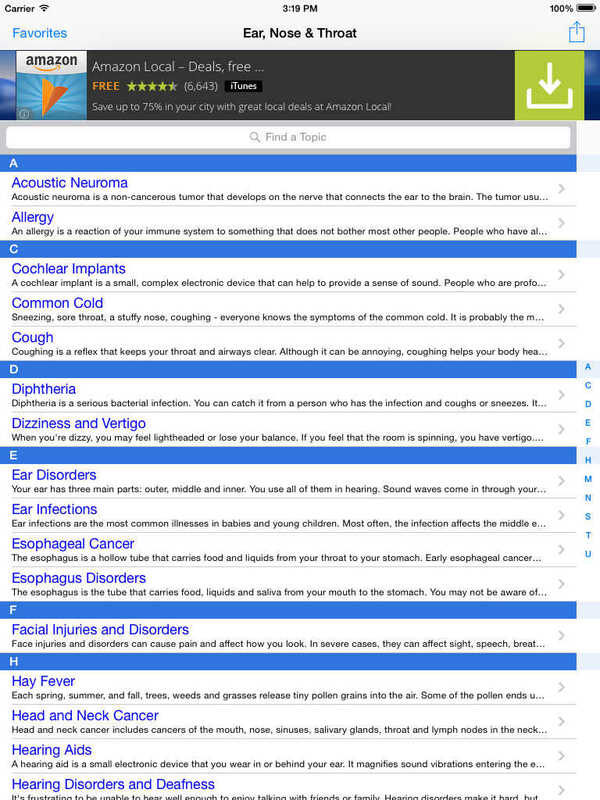 This cool app discusses the most important topics in ear, nose, and throat disorders and is ideal for all medical professionals, medical residents and interns, nurses, medical students, and of course curious lay people who just want to learn more about ear, nose, and throat disorders.